2015 Long Beach, 294pp, illus., 6x9, hardcover, dj. What do you get when you pair the world's foremost bibliographer of English language hunting books with one of the world's leading experts on mountain game? One darn good bibliography . . . which is exactly what Ken Czech and Raul Valdez have produced with this volume. So much of our hunting literature began with the mighty British Empire's quest to stretch itself across the entire globe. From the time of Queen Elizabeth I, the wildest regions on earth were explored, strange animals never before seen were hunted, and books on exploration and hunting were penned. As exotic locales slowly became civilized and travel became safer, more convenient, and reliable, sportsmen and women from Britain ventured forth in greater numbers than ever before. The result was an explosion of books that described their adventures and explorations in far-flung parts of the world. These books, often narratives of their lives abroad, were published mostly in London. The very first titles dedicated to mountains game were devoted to the game of the European Alps, but right on their heels came books on sport in the great Himalayas. This makes sense if one looks at a map of the region, for the Himalayas formed the northern frontier of the Indian subcontinent, an immense area ruled by Great Britain. By 1900 the first mountain hunting books on North America started to appear. After World War II fewer books were published in London, but by that time North American publishers had begun to pick up the slack. 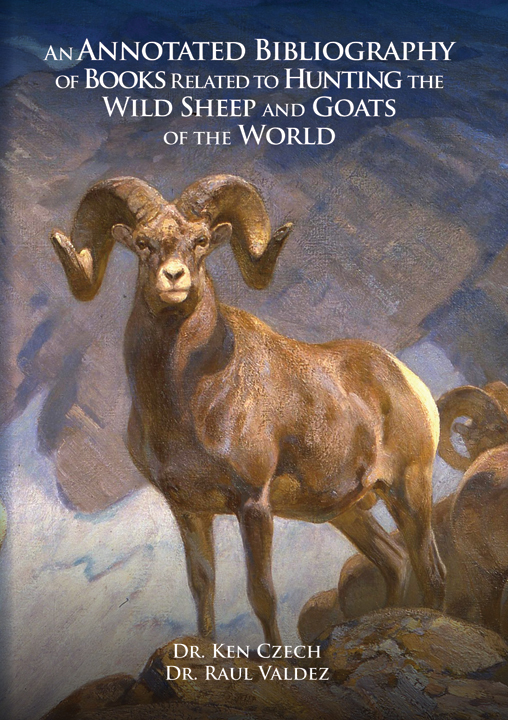 If you enjoy books on wild sheep, markhor, chamois, tahr, ibex, pasang, goral, serow, or any of the other mountain ungulate, you need this book, for it will not only guide you in collecting these books but will also give you insight into what is worthwhile reading. Books on the New Zealand Alps are also included in this work. Each entry includes the following: title; name of the author; full details on publisher; publication data; page types and count; physical appearance of the binding; and information on plates, maps, photos, and charts. Possibly best of all, the authors give a summary of the content of each book: where the hunting took place, what kind of mountain game was pursued, and anything of unusual note in that particular title. Czech and Valdez also offer interesting anecdotes about the authors-anything unusual about their works or any special peculiarities that might be of interest to the reader. In all, there are nearly 800 entries to be found herein. This book is accentuated with full-page color photos of many of the great mountain-game titles of the last 160 years. Submit your review for "An Annotated Bibliography of Books Related to Hunting Wild Sheep and Goats of the World"